Whether you’re doing freelance or working in a 9-to-5 set-up, you can sometimes feel a little stuck as an artist. Being a digital designer whose output primarily relies on computer work, it becomes even more challenging to keep your focus with the distractions coming from your devices. Also, feeling the need to fuel your creative juices can be exhausting if you do it every day. Working with a craft that requires daily innovation often leads to burn out. Managing your time wisely and keeping track of your schedule is necessary to keep producing quality output without falling behind. This doesn’t just apply to individual projects either. In a collaborative setting, you’ll also need to be on time as a team. While this is the ideal, it can also be difficult to do. However, there are available avenues, like technology, to make that task much, much easier for you. These provide a way to both keep your quality up and submit on time. It requires some tools and plenty of effort on your part, but it’s worth it. As its name suggests, Design Duet is an interesting app that allows you to connect your mobile to your computer. This is especially handy if you’re designing for mobile. Although Design Duet is exclusive to Apple users only, its use has various benefits. By connecting your phone to your desktop, you can quickly view and edit files on mobile. Without needing to send and download files from your email all over again just to transfer them on your phone, you can already access projects straight on mobile through Design Duet. One of the essential productivity tools anyone in any profession needs is a simple calendar. But taking that on a whole new level, a calendar that syncs all your tasks to your email and keeps you on top of your schedule. Google Calendar is a great app that lets you add events and other duties. You can easily sync these to your other Google accounts, like your email. Once an event is coming up, your calendar will send you a reminder via email to keep you updated. You can also invite other people to events, and in the same way, you can respond or decline to events that you’re invited to. All this, synced to your personal calendar. If you’re working in a team, Asana is a brilliant go-to for collaborating artists. Assign, view and check projects with other team members in Asana. Unfortunately, every member account signed up in Asana requires a paid subscription, but the structure and efficiency of the program are worth it. This clean system makes collaborations easier with a smoother process and cleaner interface. As an all-in-one calendar, task tracker, and chat log, Asana is the perfect tool for artist-to-artist or artist-to-other department collaborations. Another brilliant collaborative artist’s tool, Skitch is great for annotating images – whether it’s a snapshot, a screenshot, or a PDF. Take a snapshot of an interesting photo, or design you want to share with others, and write down your thoughts with Skitch. Easily compile your annotations and send them to colleagues for their feedback. Skitch makes interacting with other artists, or workmates from different departments, and putting comments on projects much easier. Assignment Masters is an online resource center for any articles and facts you may need to build on. The seasoned writers at the site can offer relevant insight on a broad range of topics for everyone, including those working in the design industry, so that you need not worry too much about your copy. If you’re looking for an article on a particular topic, Assignment Masters helps you gain easy access to research material in a short amount of time. This can cut the time you’d be spending on doing extra research instead of focusing on building your design. This is a different type of collaborative tool that will boost productivity and client relations. ProofHQ allows you to send your work in progress to clients, in the way other apps allow you to collaborate with other team members. ProofHQ allows you to manage content, while your customer can easily navigate through any file type for their approval. The neat and easily understandable interface lets users and their clients alike to interact, comment, and submit without having a difficult time. For web designers, Invisionapp is a brilliant tool that lets them interact with clients easily. Invisionapp allows web designers to simulate a rough estimate of their current design, which they can then show to potential clients. The beauty of Invisionapp is that it gives both designer and client an idea of what the end product is going to look like, which lets them make comments, suggestions, and any suggestions along the way. It also isn’t too much trouble navigating around, making collaboration between designer and customer a comfortable and pleasant experience. Creative Cloud is a brilliant tool that saves you the trouble of missing the right font, app, or image. It allows you to access, upload, and retrieve all your creative tools in one place. As a sort of Dropbox for your artistic needs, Creative Cloud offers all of Adobe’s collection of innovative apps for the desktop. 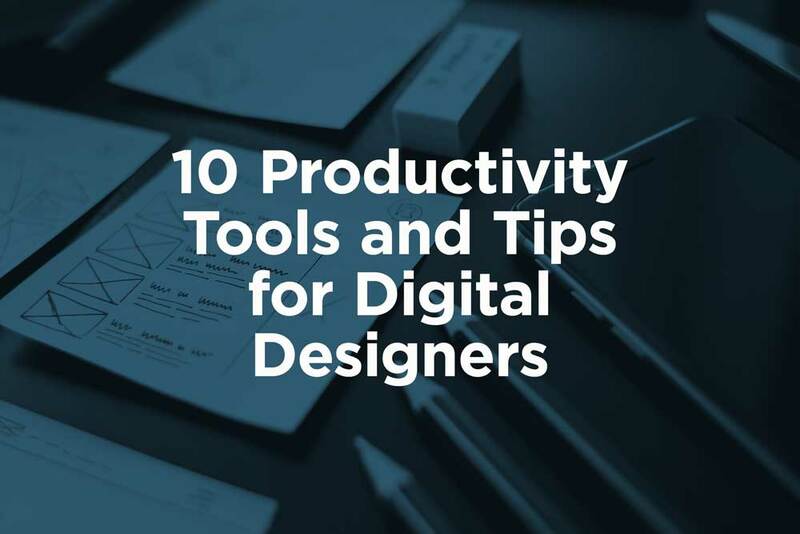 On its website, Adobe claims these tools range anywhere from old favorites like Photoshop and Illustrator to its newer creative apps such as Experience Design CC. The best part is, Adobe Creative Cloud is a flexible tool for all types of designers working on digital, whether you’re into graphic design or web, Adobe Creative Cloud has the tools for you. Trello is an excellent tool that you can access either online through desktop, or readily access from your mobile as a phone app, although that will still require Wi-Fi access. Organize your commitments, projects, tasks, or other to-dos in lists. Segregate them through boards and label and organize them as you please. You can even add a due date and extra notes while you’re at it. Trello can work both ways as a personal organization tool or as a collaborative app with various members on board. Just like Asana, Trello allows you to view, assign, and comment on projects. As an artist, you may sometimes look for other sources of creative inspiration other than your mind. At the same time, you might also be asked to look at an individual style for a particular project. A free Chrome extension, muzli saves you hours of looking for inspiration by having all the best design and tech blogs at just one click. One of the best sources of productivity, especially when you’re experiencing artist’s block, is by seeing the great design of other artists as inspiration. Feeling lost and uninspired? Muzli’s got you covered. Just download then click on this extension app, and browse through an online wealth of resources, from blogs to pictures and other forms of content. As an artist, you may have some great ideas springing out of the blue. You’d want to jot them down to save them for an important project or occasion, but the old pen and paper might not always cut it. Fortunately, you can write down any interesting and novel project ideas on Google Keep. This app lets you take down notes as quickly as if you were putting on Post-its. The difference is, with Keep you can also add a due date, customize your note, segregate your thoughts with labels, and access those notes with extra reminders. From learning to organize your schedule with a calendar that syncs all your apps in one place, to putting well-timed breaks in between working hours to avoid dropping your output quality, there’s a tool for everything. Regarding engaging and collaborating with others, especially other teammates and clients, there are also avenues to make interactions less confusing. Being able to send or simulate your output on the spot so clients can have a good view of it is necessary for maintaining an understanding of what you both want the final output to look like. Working with a team, on the other hand, requires you to communicate your thoughts efficiently so you can arrive at an understanding of what the final product will be. Since it’s also important to refine your research and keep all your creative tools in one place, consider taking on apps, or tapping into online resources that make research and work much more convenient for you. Download extensions, or bookmark sites that don’t require you to look too far for inspiration. The right tools matter just as much as the right people in establishing an efficient work environment that fosters creativity. Get them today to amplify your digital design process! Author Bio – Laura Jonson is an experienced designer. She is working on improving several projects. Also, she is a passionate writer. She shares her experience in UX design sphere all over the world. Another free must to have resources to easy the interaction with a customer is this: https://www.zoho.com/assist/ it allows with the same performances of commercial products like Teamviewer.